Photoshop CC 2018 replaces the classic brushes from earlier versions of Photoshop with brand new brushes from award-winning illustrator and designer Kyle T. Webster. Yet if you look in the Brushes panel, which is also new in CC 2018, you won't find many brushes to choose from. That's because Photoshop ships with only a sample of these new brushes. 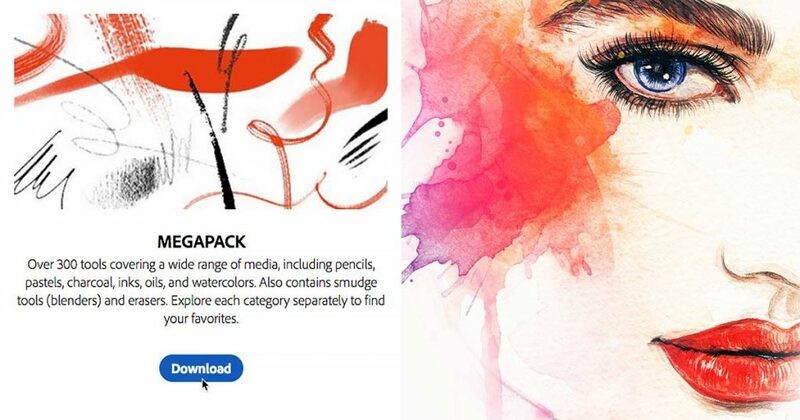 There are actually over 1000 new brushes available, including watercolor brushes, spatter brushes, impressionist, manga, and more! And if you're an Adobe Creative Cloud subscriber, you have access to every one of them! All you need to do is download them from Adobe's website and install them into Photoshop. Here's how to get more brushes! Going to Window > Brushes. The new brush sets in the Brushes panel. Twirl a folder open to view the brushes inside. 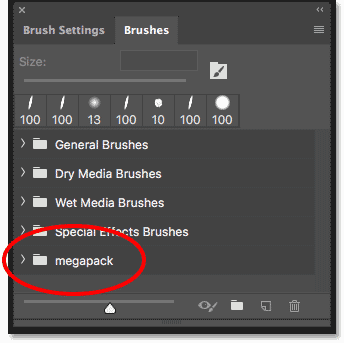 Step 2: Select "Get More Brushes"
Opening the Brushes panel menu. 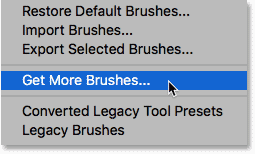 To get more brushes, choose "Get More Brushes". 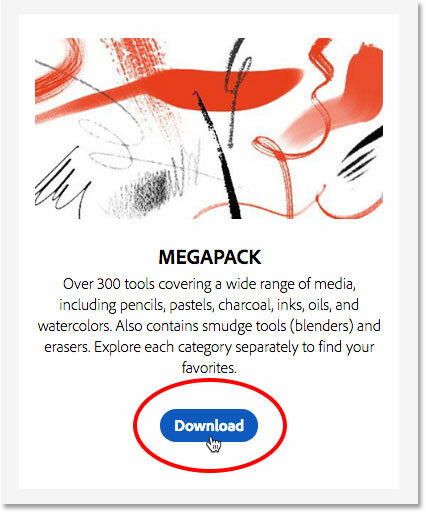 All of the new brushes are found on Adobe's website. Downloading one of the brush sets. Double-clicking on the downloaded brush set to install it. 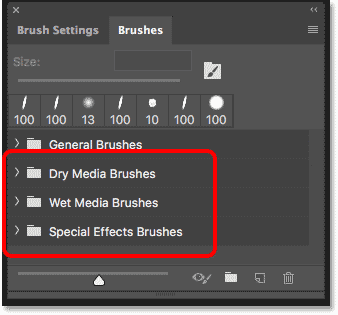 Installed brush sets automatically appear in the Brushes panel. 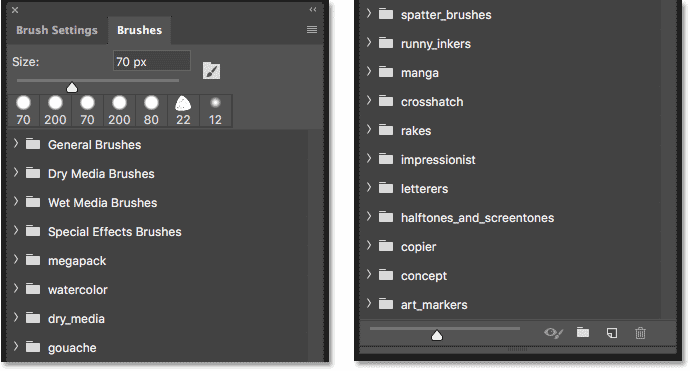 A split-view of the Brushes panel showing all 15 new brush sets installed. And there we have it! 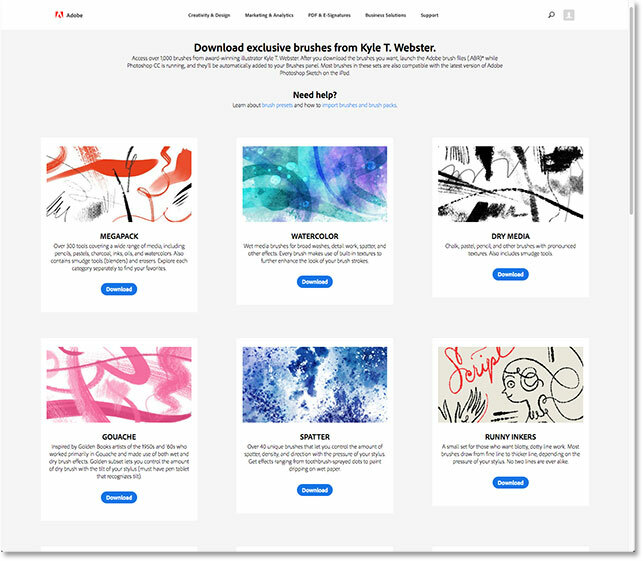 That's how to access the entire collection of new brushes available to Adobe Creative Cloud subscribers in Photoshop CC 2018! Looking for the classic brush sets from earlier versions of Photoshop? 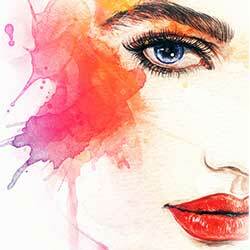 See our Legacy Brushes tutorial to learn how to restore them. 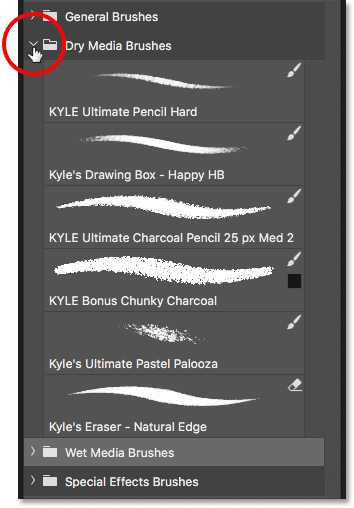 And, learn how to save your brushes as custom brush presets! Visit our Photoshop Basics section for more Photoshop tutorials!